Here is my latest project--finished in three days--i'll say that is a quickie for me! I was surprised at the colors on this piece, they were different than what I thought they would be from the chart photo. 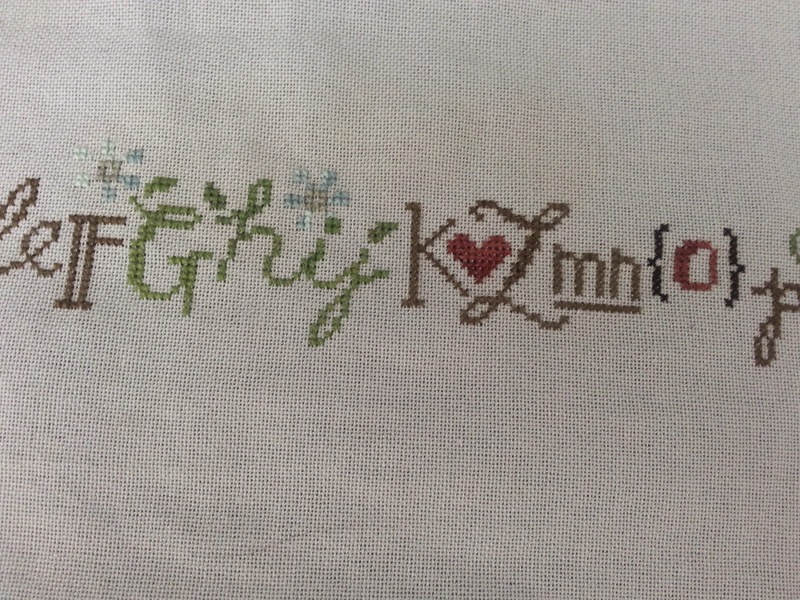 I was thinking greys, but most of the letters are browns and greens. 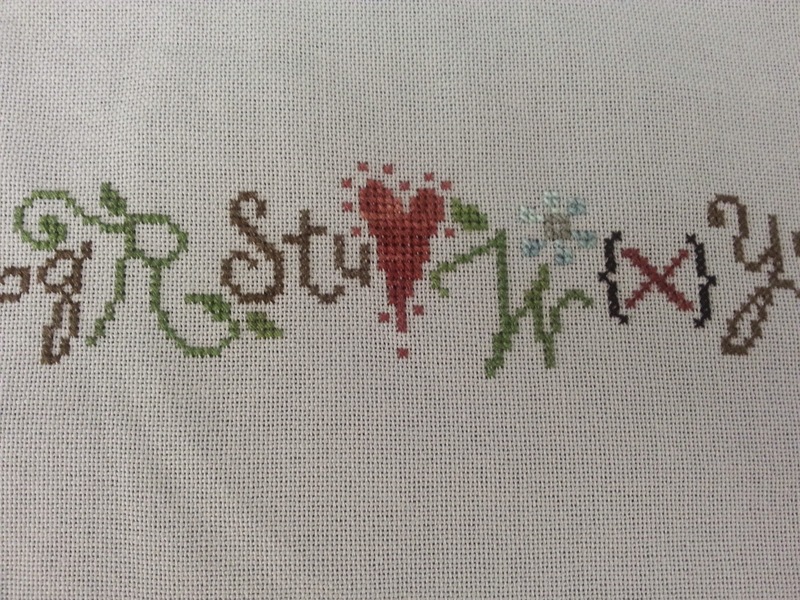 If you Google image search the design their are some cool variations stitchers have done. One of my favorites had tan letters and white hearts and flowers, another had lots of pink flowers and hearts. 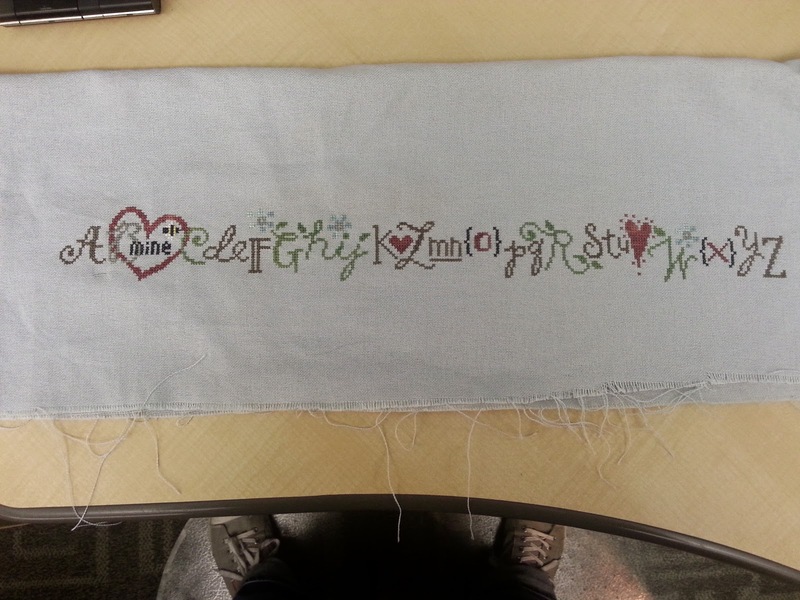 The only major variation I did with mine is instead of stitching on a tan fabric, I used a light blue. 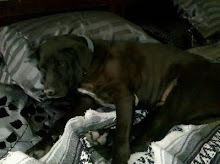 And i'll leave you with a photo of my favorite little boy. My baby turned one last week. 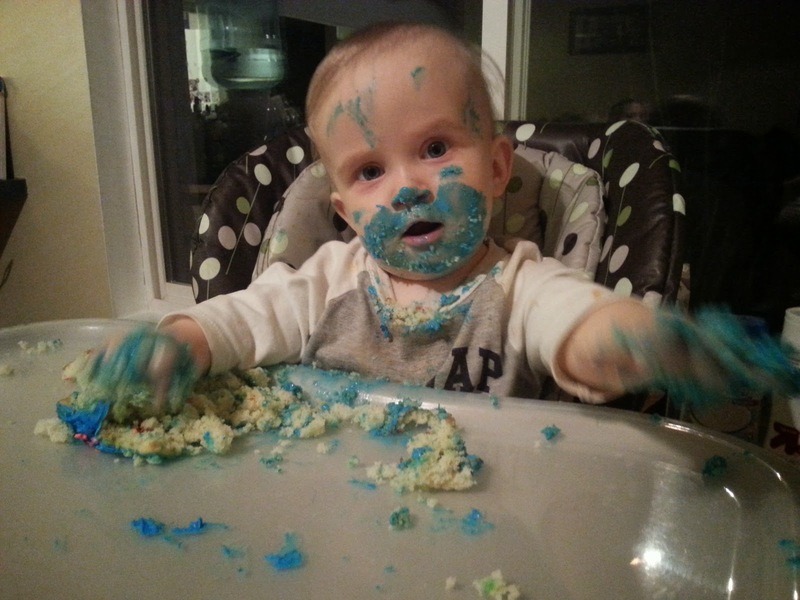 In our family we have a tradition of "baby cakes" where on their first birthday they get a cake of their own to make a mess of. I think more of it got on his face than in his mouth! Here are my Xmas exchange peices. 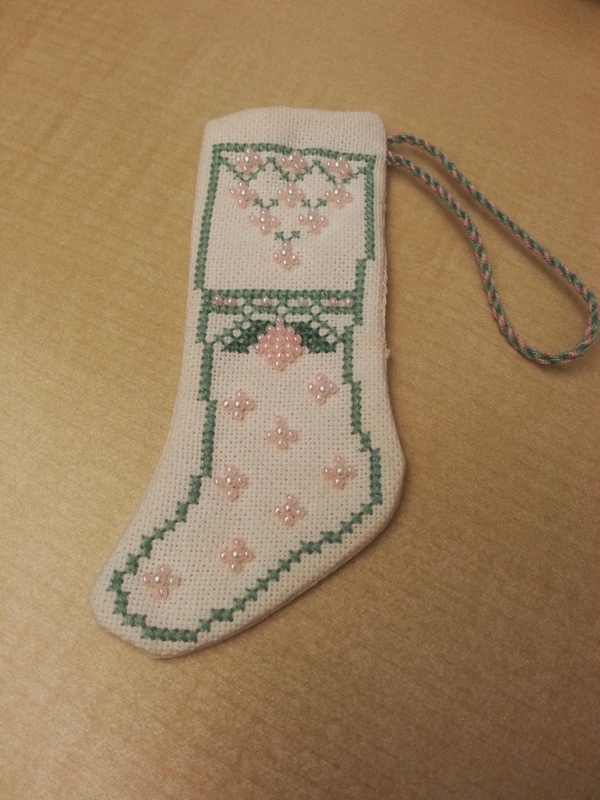 Above is the one I received from Rosa, it has beautifully delicate pink beads on it. And below are the two I sent out. 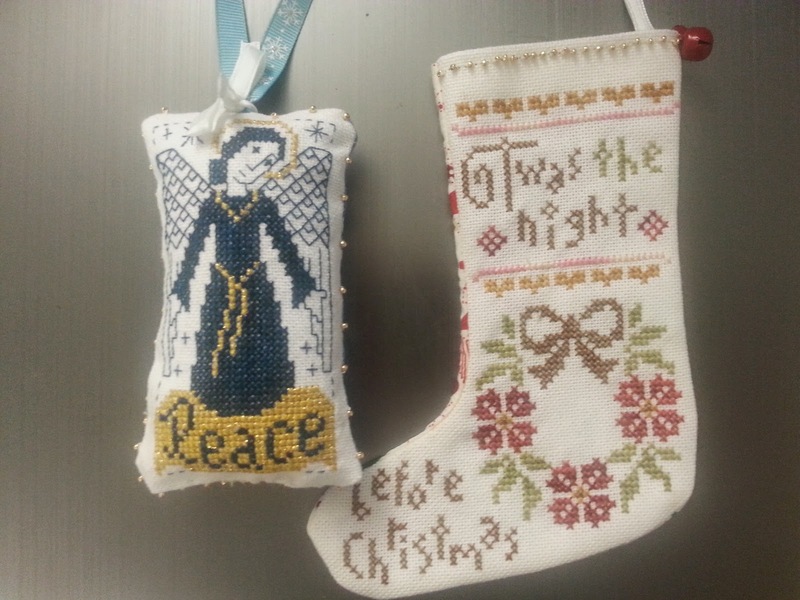 I really liked the LK stocking, and it was my first time finishing one. 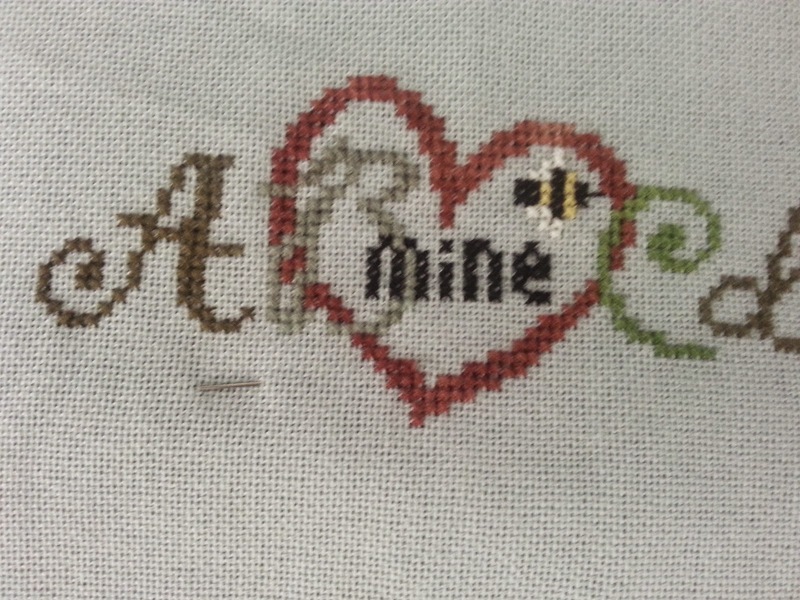 I think I will be stitching that one again for myself! Hope everyone's New Year is off to a great start, with all your resolutions still in tact! Guess who's done! Finally! WooHoo--happy dance--happy dance--happy dance! 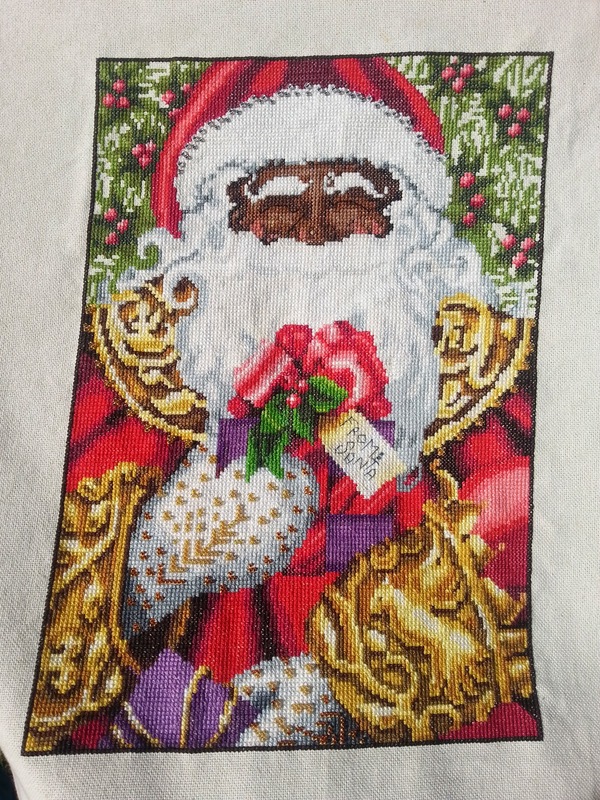 I did enjoy stitching Mr. Claus, nice colors, beautiful beading, easy chart to follow. I am just not a one project at a time gal! I like to stitch a little of this and a little of that, and finishing something in the same year I started it is unheard of for me! 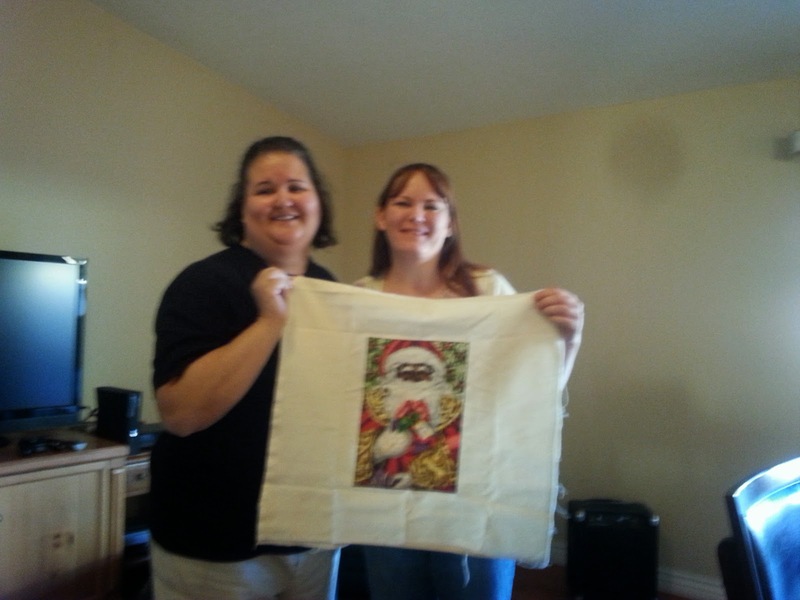 Here is my friend that I stitched it for and I holding the finished project, she loved it and was so glad to have it out on display for this Christmas season. If I don't manage to post again before then, I hope everyone out there is on the nice list and has a very Merry Christmas! 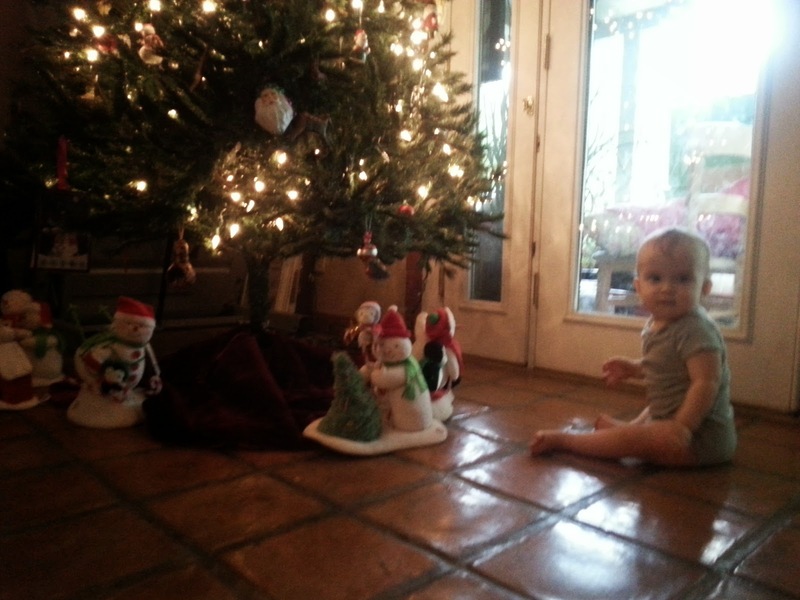 Here's a last photo of my littlest elf under the tree. "I wasn't touching those ornaments mom!"